Way to massive exposure for your Websites from various social media and high authority websites, usually known as high quality “Link Juice”. This is great for higher search engine ranking as well as best way to do SEO for your website. Wondering how to optimize your website for higher search engine ranking? ✔️ This level assist you to increase your Level#2 websites link juice, as well as GSA SER backlinks will help you to optimize your website for Google and other major search engines. Best way to Maximize Your Online Marketing Results from us! 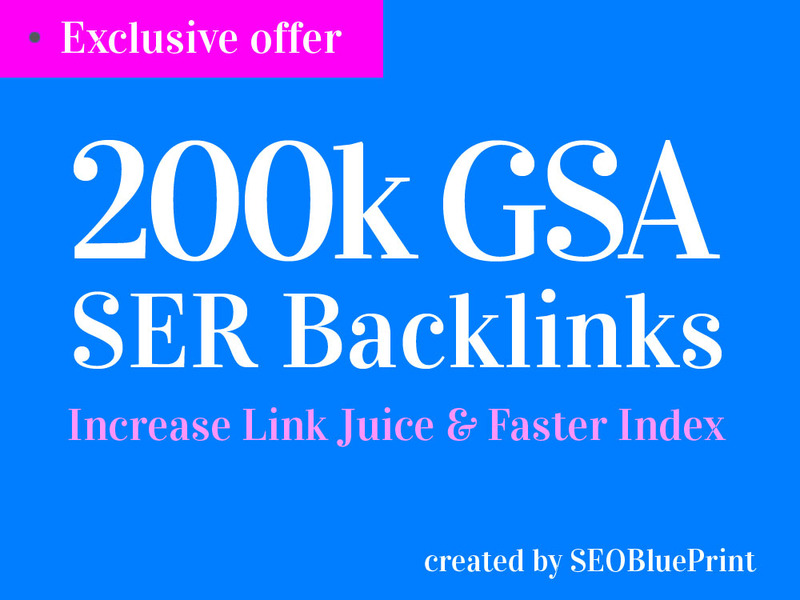 200,000 GSA SER Backlinks For Increase Link Juice and Faster Index on Google is ranked 5 out of 5. Based on 155 user reviews.